Most lawyers are comfortable being put into a neatly labeled box. It's known as a "Practice Group." Such labeling is typically the first step into the world of Silo Selling. Before you know it, you hear yourself saying "I'm an M&A Guy," or "I'm in IP," or "I'm a Litigator." This kind of jargon may provide some context and perhaps even comfort for you, the lawyer. However, most businesspersons think in terms of business challenges or opportunities. These perspectives are not lawyer-centric. Senior business executives must make decisions that transcend a bunch of neatly packaged, unconnected practice groups that speak their own language. Speaking the client's language keeps you and your firm relevant, and far better positioned to identify, understand, and help with these business issues. Being more client-centric helps you get in play and stay in play. When you're seen as a relevant contributor to the business conversation, perhaps even a business adviser -- instead of merely their "Deal guy" -- you'll be welcomed into many more conversations that might reveal legal needs. The potential good news for your firm and you is that legal spending for some companies appears to be trending back upward. I'm not suggesting a return to 2006, but business pressures are creating new challenges, including identification of sources of funds, skyrocketing costs, hiring and firing decisions, tax issues, compliance issues, and buying/renting/leasing facilities and equipment. Any of these will provide pretty rich content for business conversations. And, remember that we're only 16 months away from a new occupant in the White House and, maybe, big shifts in Congress. Any business worth its salt is contemplating these contingencies. So, the more the client hears you engage in Silo Talk, the less likely she'll be willing to share insights on any of her broader business challenges. Why would she? 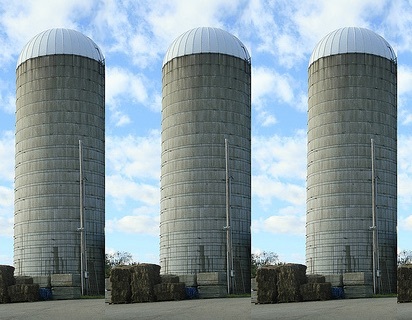 Silo Talkers aren't relevant to those challenges. On its face, this statement is inarguable. However, as lawyers know better than anyone else, specific language is important. I'm not saying you should call or brand yourself a business advisor (or anything else). Your market assigns your brand—not you. What I suggest is that you converse with the market and conduct yourself in a way that causes a portion of that market to perceive (and brand) you as a business advisor or other value-rich label. The last line of the rebuttal contains a useful clue, too. Here, “needs” refers to legal needs, e.g., I’m used to selecting experts with “litigation” skills, or “employment” skills. I'll argue that any legal-service label puts you into a large pool of lawyers who share that label. That’s fine if your strategy is to engage established incumbents and other competitors in expensive sales battles in mature legal service categories subject to increasing price pressure. Most of these battles boil down to competitors arguing that they’re better in some way. It's a tough claim to support, and a tough way to live. As Al Ries and Jack Trout pointed out many years ago in The 22 Immutable Laws of Marketing, “better-ness” is a value granted by the buyer, not claimed by the seller. If you struggle to identify opportune problems and industries, get in touch. We can figure it out together, and get you moving down the road to creating demand for yourself.